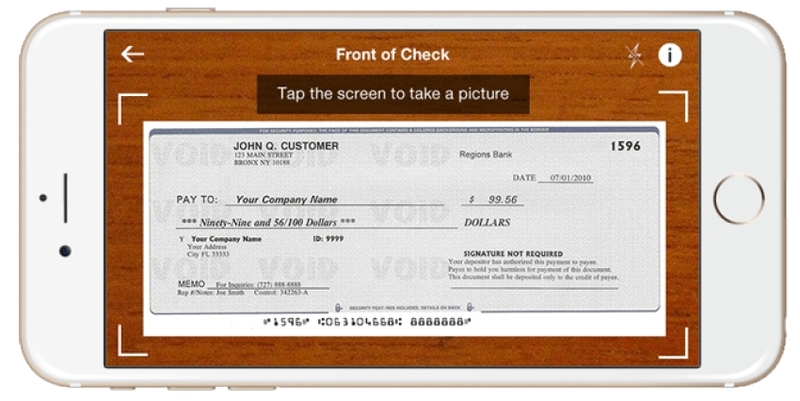 Mobile Remote Deposit Capture – The freedom to deposit checks anytime, anywhere using your Mobile and Tablet Banking Apps for Apple® and AndroidTM devices. Enjoy the Convenience – Make deposits day or night, from virtually any location. Save Time – Eliminate a trip to the branch or ATM. No more waiting for a deposit by mail to clear. Expedite Funds – Receive immediate access to funds if deposit credit is available. 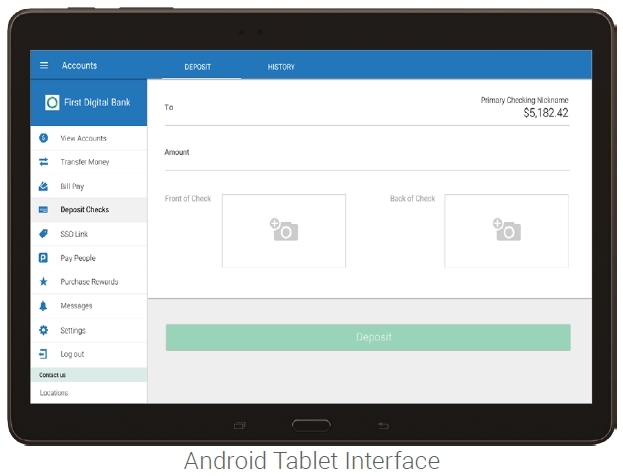 Deposit with Ease – Make quick, successful deposits using the intuitive user interface. Instant Access – Provides one-click access within the Mobile Banking App and requires no additional downloads or installs. Easy to Use – Simplifies deposits with an intuitive user experience that requires only a few taps and camera clicks. Simple Transaction Management – Generates a transaction confirmation to easily track deposits. Complete Deposit Security – Protects information with the same security as Online Banking and allows customers to keep their checks. 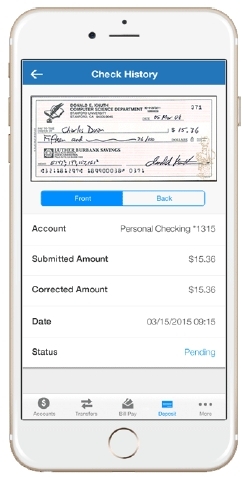 From within our Mobile Banking app, tap the Deposit Icon to enroll. We will notify you once your application has been approved.